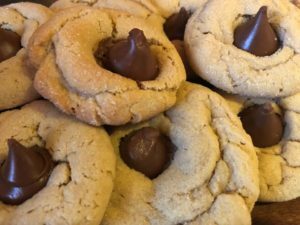 Peanut butter and chocolate kisses = peanut blossom cookies! Our kids always enjoyed helping to make these cookies. Was it because they got too unwrap the Hersey Kisses and sneak a few on the side? Was it because they got to help roll the dough into balls and dip them in sugar? Was it because they got to press the Kiss onto the dough once it had been baked? 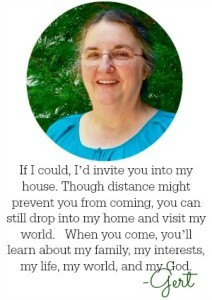 Maybe it was all of the above! 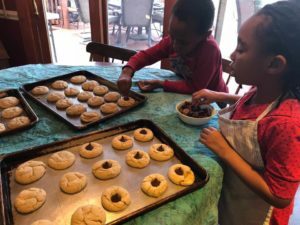 This recipe for peanut blossoms never fails to draw kids into the baking process. Plus, it’s such an easy way to draw kids into the baking process. The peanut blossom recipe is so easy to mix up. I’ve been making these since I was a kid back in my mother’s bakery right off the kitchen in our house. In those days, we spent a day making as many different kinds of cookies to share with others. This one was always on the list. You’ll need the usual baking ingredients, including Hershey Kisses and peanut butter. 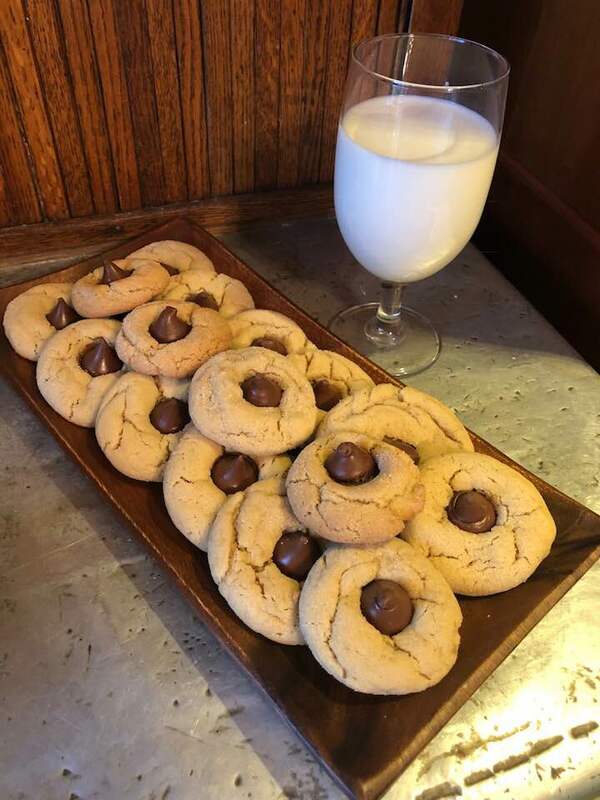 Here is the recipe for peanut blossom cookies. 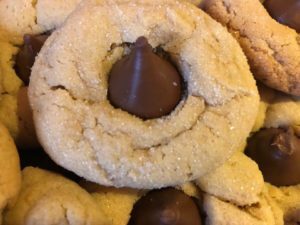 A fun peanut butter cookie with a Hersey kiss in the middle - for a fun time with kiddos who like to help mix and bake cookies. 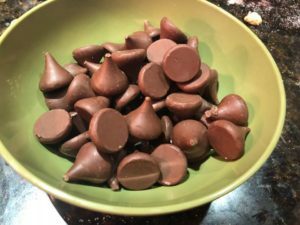 After baking, press a chocolate kiss onto each cookie.